Join diabetes thought leaders, health care professionals, and researchers in a dialogue on emerging trends and practical applications in diabetes prevention and management. Within this blog, you’ll find emerging research presented by an interdisciplinary group of thought leaders and innovators working to prevent diabetes and change the way diabetes is treated. The blog will also provide objective and evidence-based education and behavioral strategies on diabetes care and prevention. Share insights from your experience. 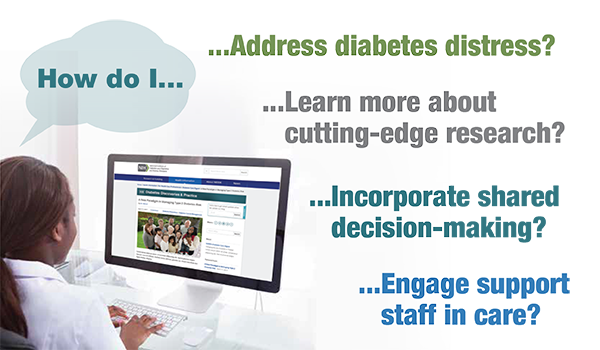 Discover practical tips for diabetes care in clinical and community-based settings. Contribute ideas on how best to foster a team approach. Invite colleagues to join the discussion and subscribe!